We had a magnificent snowstorm earlier in the week—a perfect reason to stay indoors, get ready for Hanukkah, trim our Christmas tree, and bake. 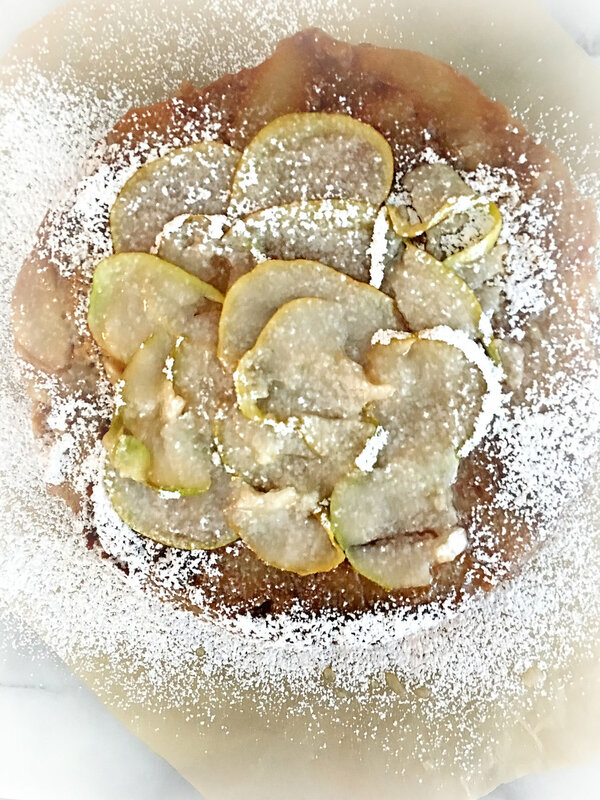 This Cinnamon Pear Cake filled the house with heavenly aromas. Rich and a bit sinful, a moist cake batter is topped with pears braised in butter and brown sugar. Fresh pear slices are added just before serving to make this cake a welcome part of any celebration. 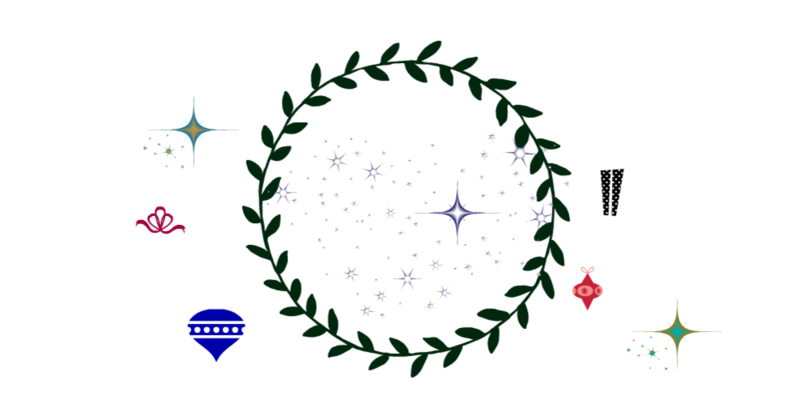 I wish you very Happy Holidays. Stay safe and warm. This will be my last post of 2017. Thank you for continuing to be a part of Gathering Flavors. I look forward to seeing you in my kitchen, gathering flavors, in the new year. Preheat oven to 350 degrees F. Butter a 9-½ inch springform pan. To make the pears, melt the butter in a small saucepan. Add the brown sugar and mix in with the butter. Let the sugar melt into the butter the add the sliced pears. Cook pears in the butter and sugar mixture until tender, about 5 to ten minutes. Set aside to cool. To make the cake batter, while the pears are cooling, beat together the butter and sugar. Add the eggs, one at a time, and beat until incorporated. In a separate bowl, sift together the dry ingredients. Fold the dry ingredients into the wet. Add the maple yogurt and milk. Stir to combine. The batter will be thick. This is okay. To bake the cake, spoon the prepared pears in the bottom of the springform pan, spreading them in an even layer. Add the cake batter and spread it evenly in the pan. Place in oven and bake until golden, about 45 minutes. Remove the cake from the oven and allow to cool completely. Place a large plate over the pan and invert the cake onto the plate. Remove the sides and the bottom of the springform pan. To serve, place the sliced pears decoratively on top of the cake. Sprinkle liberally with confectioners’ sugar. This cake was inspired by a cake in Ripe by Nigel Slater.